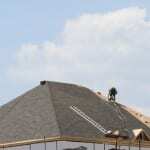 As your commercial roofing contractors in Orillia, ON, we will do everything we can to exceed your expectations. As a business owner, you don’t have time to deal with a roof that falls into disrepair. Fortunately, you have us at Slippery Slope Roofing to help you with all of your business’ roofing needs. We are commercial roofing contractors who serve the Orillia, Ontario area and are dedicated to complete client satisfaction.